One thing is for sure; while the recent rains and terrible flooding that have hit much of East Texas and parts of Oklahoma are trying times for us all, the most trying part of this may still be ahead, as we deal with our insurance carriers to be reimbursed for the damage. Unfortunately, homeowners and businesses commonly see their claims for wind or flood damage delayed, if not outright denied. And even if neither of those happens, the flood insurance company will often try to lowball them after a natural disaster, such as the one we just experienced. In most cases, homeowners’ insurance policies will cover damage from windstorms, hurricanes and hail. Many will cover what they call “sudden and accidental water damage,” which usually refers to what happens with plumbing accidents, but few homeowners’ insurance or business property insurance policies will cover flooding of any kind, especially rising water or the effects of storm surge. It’s important that everyone with such a policy is fully aware of this. For those who live in coastal areas, insurance companies began to refuse to write insurance policies for wind events that caused water damage, especially hurricanes, and instead created the Texas Windstorm Insurance Association (TWIA) to provide coverage for wind driven rain, or for water that enters through a damaged roof, window or wall. 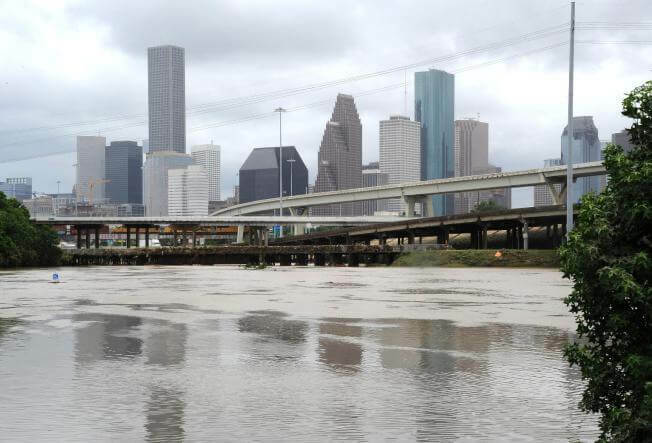 Flood insurance policies are much more limited, in part because they are all underwritten by FEMA’s National Flood Insurance Program (NFIP), even if private insurers sell and manage this type of policy. This coverage is limited to just flooding, regardless of the impression your insurance carrier gives you. While the flood and wind damage may be administered by a private insurer with a single adjuster evaluating damage from both, because the flood insurance is underwritten using federal money, policyholder rights are more limited. If you have a dispute over a flood insurance policy, it must be filed in federal court, and they rarely permit recovery for some types of damages, including bad faith. This can be a big problem if the private insurance company decides to push as much damage as possible into the flood damage category, which they often try to do in order to get FEMA to pay as much of the claim as possible. For one thing, it means the policyholder has fewer rights, but it also can mean a much smaller payment; in fact, if the policyholder has no flood coverage, it can mean no payment at all. Sometimes, a private insurer will rely on a policy’s concurrent causation clause to avoid having to pay anything. Under those circumstances, Texas policyholders would then have to prove, usually through the use of engineer opinions, which portion of the loss is from flood and which portion is from wind. If it’s possible to prove misconduct on the part of the insurance company, different policyholders have different rights. In the case of a standard property policy, which again will not include flood insurance, the insured may bring an action for a number of things, including violations of the Texas insurance code, common law bad faith, fraud, breach of contract and other remedies, and they may recover actual damages, treble damages, attorneys’ fees, punitive damages, and things like that. However, if there is misconduct in the handling of a flood claim, the policyholder has no recourse on that end; all they can recover is the damage they can prove. Take clear photographs of the damage before it has been repaired, even if the repair is only temporary, because your photos can help experts distinguish between wind and water damage. Make a list of all of your damaged items and make a note of exactly where they were located within the building. Items on the floor, for example, may be covered by flood while items high on walls or on higher floors may be covered by a wind policy. Work closely with the insurance company’s adjusters to show them your property so that they can better distinguish between flood and wind damage and loss. If you have a flood policy, be sure to file a proof of loss within the required time frame, which is usually 60 days from the date of the loss. If unsure, put both your property insurer and your flood insurer on notice of the loss right away, without delay. Take appropriate and reasonable steps to complete temporary repairs, mitigate damage and prevent further loss. Communicate regularly and openly with your insurer. If you are dissatisfied with the timeliness, professionalism, opinions or payment from your insurer, let them know in writing as soon as possible. If the insurer is disputing your loss, be prepared to retain your own professional team to fully document the loss, including your own contractor, public adjuster or attorney evaluate the damage and distinguish between flood and wind damage, if need be.